Just wanted to thank everyone who made the recent TAB bake sale a success. Thanks to all of our teens and their family who made and purchased baked goods. And, thanks to all of our other patrons who came in on a cold, cold day and bought baked goods too. 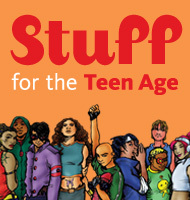 With the funds earned from this and other fundraisers we hope to continue to improve youth services at the library and share a love of reading with our community. 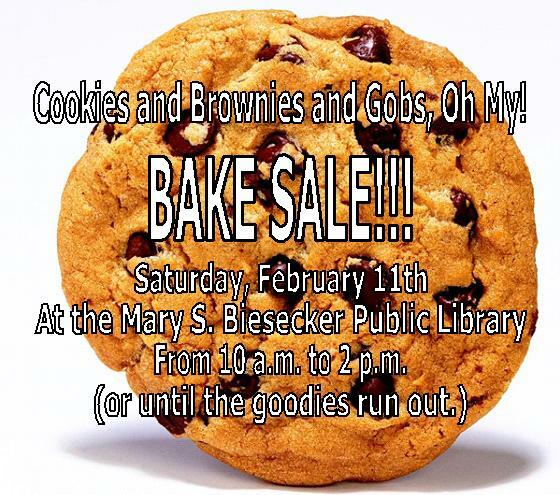 The Mary S. Biesecker Public Library’s Teen Advisory Board will be having a bake sale at the library to support Youth Services at MSBPL and help the Teen Advisory Board with it’s goal of providing books for underprivileged youth in our community. Many of your favorite baked goods will be available in addition to beverages to wash them down. We hope to see you there. TAB and the Mary S. Biesecker Public Library would just like to welcome our newest member Mae to the group. Mae plays piano and clarinet. She likes drawing, music, cooking, and site seeing. Welcome aboard Mae, we’ll see you at the next meeting.